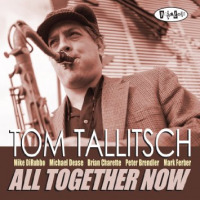 Tom Tallitsch is a Saxophonist, Composer, Recording Artist, Music Educator, and Host of ‘The Modern Jazz Radio Show’. Tom is a NY Saxophonist, composer, recording artist, and music educator. 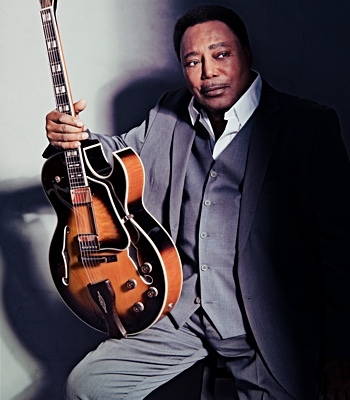 He performs at jazz clubs and other venues throughout NYC and regularly performs at venues up and down the east coast, and tours throughout the United States. His critically acclaimed fifth album RIDE was released 2/4/14 on Posi-Tone Records, and is receiving national and international airplay on Jazz radio stations. It features his own compositions with Art Hirahara (Piano), Michael Dease, (Trombone), Peter Brendler (Bass), and Rudy Royston (Drums). Discography As A Leader RIDE (2014 Posi-Tone) HEADS OR TALES (2012 Posi-Tone) PERSPECTIVE (2008 Origin/OA2) MEDICINE MAN (2007 Origin/OA2) DUALITY (2004 Self-Released) In addition to having his compositions and arrangements played by vocalists and musicians throughout New York and Philadelphia, Tom has had his works performed by individual dancers from the Martha Graham Dance Company at various choreographer showcase venues. He hosts his own jazz radio show titled “The Modern Jazz Radio Show” on the Mercer County Jazz Station WWFM Jazzon2 89.1 HD2. The show features Tom’s own personal jazz picks and commentary, and airs every Thursday evening from 8:00 to 10:00 pm. Weekly playlists are sent to all artists, record companies, and publicists. Tom Currently lives in Jersey City, NJ. He is originally from Cleveland, Ohio where he began his musical training on the piano, clarinet and saxophone, and has lived in Cincinnati, Philadelphia, and Hamilton, NJ. 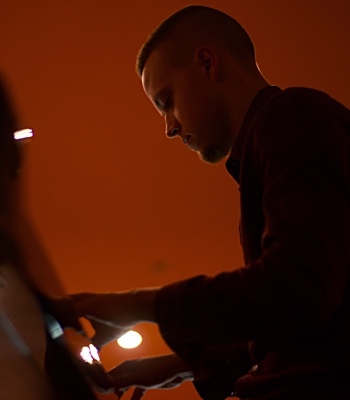 He has a Bachelors of Music in Jazz Studies from the University of Cincinnati College Conservatory of Music (CCM), and has participated in clinics with Joe Henderson and Chris Potter. He has studied with saxophonists Rick VanMatre, Ernie Krivda, Mike Lee, Ben Schachter, Seamus Blake, and pianist Phil DeGreg. All About Jazz – Dan Bilawsky 3/4/14: Saxophonist Tom Tallitsch focuses on his own music on his second release on Posi-Tone and fifth date as a leader. He throws in David Bowie’s “Life On Mars” and Led Zeppelin’s “Ten Years Gone” for good measure, but the other nine tracks are all of his making. Tallitsch proves to be a commanding player throughout Ride, but it’s the sidemen that help to bring out the best in the music. Rock solid players like pianist Art Hirahara and bassistPeter Brendler help to keep things running smoothly, guest trombonist Michael Dease brings the heat, and Rudy Royston, the seemingly ubiquitous super drummer, adds some wattage to Tallitsch’s tunes. Royston’s in high spirits on the title track and he drives the hell out of a few other numbers. While the faster material always carries excitement with it, Talitsch’s strongest pieces aren’t the burners. “Rain,” which Tallitsch accurately frames as “gospel country,” the Brazilian-tinged “El Luchador,” which gives Dease a chance to shine, and the bluesy “Knuckle Dragger” all leave more of a lasting impression on the ear. Something Else Reviews – Victor Aaron 3/1/14: Two years after Heads of Tales , a searing date backed by Jared Gold, Mark Ferber and David Allen, tenor saxman Tom Tallitsch returns with another strong crew for Ride (March 4, Posi-Tone Records), in fact arguably even more so: Rudy Royston on drums, Art Hirahara on piano, Peter Brendler on bass and the phenomenal Michael Dease on trombone. The change-up in instrumentation does nothing to change Tallitsch’s mission of evangelizing the hard bop form through the bell of his saxophone. Ride swings and grooves with flawless proficiency by guys who aren’t just going through the motions. Tallitsch’s traditionally minded saxophone diction never forgets that soul is an important part of it, but so is forgetting a lick once it’s played, too. That’s why he can go a while on a solo as he does on “El Luchador” and keep it interesting all the way through. And he can swing like the old masters, amply demonstrated on cuts like “The Giving Tree.” Dease isn’t present on every track, but when he’s called in to help, he provides the perfect foil, and his solos on “El Luchador,” “Turtle” and especially “Knuckle Dragger” are fluid and full of character but in a graceful way. The rhythm section makes a lot of hay on the spicier numbers like “The Myth,” and Royston leaves behind a show stopping display on drums during his break on “Ride,” while Hirahara shines on “The Path.” Also during “The Path,” Brendler’s against-the-grain bass line offers up a funky counterpoint. 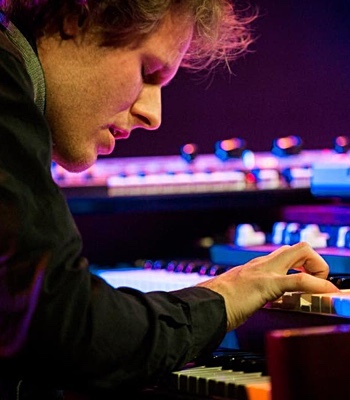 During the last go-around Tallitsch adapted a song from a rock icon (Neil Young’s “Don’t Let It Bring You Down”) into the jazz form the right way, by embracing the core melody. He does this again on Ride, putting his own stamp on David Bowie’s lofty gem “Life On Mars” and Led Zeppelin’s Physical Graffiti deep cut, the splendidly downtrodden “Ten Years Gone.” On the former tune, Tallitsch’s sax takes on the vocal role, his sax accurately locating the emotional center of the song. 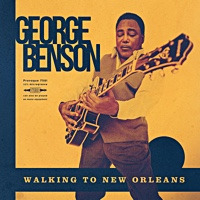 For the Page/Plant song, he doubles with Dease to give it a late 60s Jazz Crusaders-type groove, but one that maintains the original’s serious tone. New personnel and backup instrumentation doesn’t matter; Ride is another sturdy, deft straight-ahead affair from Tom Tallitsch. Emusic – Dave Sumner 2/5/14: Solid straight-ahead session from saxophonist Tallitich, on a quintet date that aptly displays his talent for well-constructed tunes. All originals, except for covers of David Bowie (Life on Mars) and Led Zep (“Ten Years Gone”). Dease on trombone shows his professionalism and why he’s in high demand. Same goes for drummer Royston who is really given the opportunity to build moments into deluges of rhythm. Track “The Myth” real shines bright. CriticalJazz.com Interview With Brent Black 2/4/14 Posi-Tone recording artist Tom Tallitsch has just dropped a stellar new release, Ride… This isn’t Tom’s first rodeo as he has been putting out consistently high quality music for roughly a decade. I have been fortunate enough to get to know Tom and we were able to hook up thanks to modern technology to discuss the new record. B.B. – I asked Tom to tell us about Ride. We also discussed the more open ended sound and how this may have developed. T.T. – I wrote every song on the album with the intention of creating a vehicle for the band to groove and solo on, while trying to give the listener a strong set of melodies and forms to latch onto. Most of the songs were written with a quartet in mind before the lineup was chosen. I’ve played a ton with bassist Peter Brendler and pianist Art Hirahara, so they were no brainers. Rudy is one of the greatest drummers that I have ever heard, and at the time I was listening to a lot of JD Allen’s trio records. Rudy just made that band perfect. Once all of the songs came together, I really started to hear trombone harmonies in 4th and 5ths. Mike Dease has such a warm and beautiful tone that I could hear on the album, and I am so glad he is on it. B.B. – In my review I remarked about the warm and open sound only to have Tom confirm the following day that my ear was still there as this was essentially a live studio release. I asked him to explain the pressure involved in that type of recording. T.T. – The original recording date was 10/29/12, the Monday that Hurricane Sandy hit NYC. We had a rehearsal 2 days prior, and we were all really amped up to record. When we realized the storm was going to be no joke, I cancelled the session and the Posi-Tone guys jumped on a last minute plane out of NY. After the dust settled, we decided to try it again the day after the Super Bowl 4 months late in February 2013. Once the session finally happened, I think we were all relieved. The flood gates opened and we just played. The energy was huge, and I feel that we left it all on the tape. It was a good day. B.B. Some killer covers were banged out on this session, “Ten Years Gone” from Zeppelin and David Bowie’s “Life On Mars.” I asked Tom to explain how these tunes came to be. T.T. – I love trying cover tunes. I grew up on a cocktail of Led Zeppelin, Black Sabbath, The Beatles etc., and then on the flip side Stan Getz, John Coltrane, Sonny Rollins, and Joe Henderson. It is really a big challenge to arrange covers without them sounding square. With David Bowie’s Life On Mars, the melody and chord progressions are strong and memorable, and did not require arranging or alterations. Sometimes the most beautiful performances an be created by just stating the melody. The groove, chord progression, and transitions from verse to chorus in the original recording of Led Zeppelin’s “Ten Years Gone” created almost limitless ideas for me as an arranger. The version you hear on Ride is the final product of several arrangement that I originally brought to the band to try. B.B. Having touched on the band members, I asked Tom how hard it is to keep a band together. T.T. – It is really hard to keep a band together, especially when cats like Rudy, Art, and Mike are traveling around all the time. It’s all about booking dates. If the good performances are there for the guys to play, hopefully they will be there. B.B. Tom’s label is Posi-Tone, a label known as artist friendly and with the old school commitment to artistic development. I asked to about the importance of working in this environment. T.T. – I love Posi-Tone Records, and am sincerely grateful for the creative guidance and friendship that I have received from those guys. We are able to speak openly and without baggage about what is working and what isn’t. I am looking at recording again for Posi-Tone this spring. I have a book of new and older compositions that I would like to get out. I could tell you more about the band, but that would be letting the cat out of the band right? B.B. I want to thank Tom and of course Posi-Tone for their help and support for this interview and other projects as well. Ride is easily one of the best for 2014! Dusty Groove 1/31/14 The album’s a heck of a great ride with tenorist Tom Tallitsch – a player who’s stepped in traditional tones and phrasing, but who can also push things forward with his own personal agenda as well! Tallitsch has a really old school depth to his instrument – a quality that reminds us a bit of Eric Alexander at his best, as does the flowing sense of rhythm the album gets from Art Hirahara on piano, Peter Brendler on bass, and Rudy Royston on drums – a rhythm trio that fits together very well and provides a rock-solid and soulful swing on the album’s best numbers. Michael Dease blows some tight trombone throughout too, and most tunes are originals – with titles that include “Ride”, “Rubbernecker”, “Rain”, “The Giving Tree”, “El Luchador”, and “Turtle” – but the album also features two surprising ballad remakes, of David Bowie’s “Life On Mars” and Led Zepplin’s “Ten Years Gone”. The New York Jazz Record – July Edition – By Donald Elfman - On Heads or Tales, saxist Tom Tallitsch looks at the tenor-and-organ quartet format and, with the help of very simpatico musicians, finds new things to say. 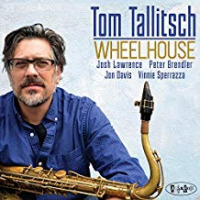 The sound of this type of group is now part of the standard jazz catalogue and it’s to Tallitsch’s great credit that he makes us feel both comforted and challenged. The tunes showcase the leader’s virile tenor, both as a solo vehicle and in lovely combination with his cohorts. On “Coming Around”, the album’s opener, the saxophone drops right in and wails a sinewy but defined theme that snakes and swings at a rapid clip. Tallitsch takes a nice, muscular chorus that smartly pulls at the edges of the head. The tale continues with guitarist Dave Allen digging into the changes and being both lyrical and angular. 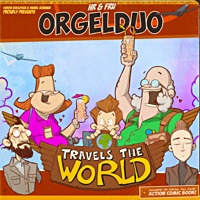 Next, it’s the organist’s turn and Jared Gold reminds us how terrific it is to have this instrument still in the game and making vital and pointed solo statements. 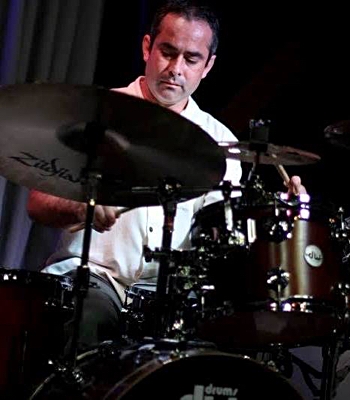 Drummer Mark Ferber, who has pulsed his way over and under the other soloists, takes a brief but volcanic solo to lead us back to the quick restatement of the theme. One would think that this combination of instruments could sound somewhat monolithic, but the players care about colors and keep these themes fluid. “Dunes” is an airy tune, ballad- like but also dancing and forward-moving. Tallitsch, though his sound and tone is ‘hard’, finds a way to sing through his horn, working from top to bottom. A surprise closes this recording. It’s Neil Young’s “Don’t Let it Bring You Down” and it’s a lovely, emotional jazz ballad that’s both invested in the original tune and making it breathe differently. Tallitsch is in charge here and his saxophone lushly delivers the melody with subtle underpinnings in segments from the others. The track is just a little longer than three minutes, but Tallitsch takes a fully realized solo and then takes the tune out in a sort of cadenza that riffs on at first but then quietly ends a cappella. It’s a lovely way to bring to a close these very musical proceedings. For more information, visit posi-tone.com. Tallitsch is at Bar Next Door Jul. 14th and The Garage Jul. 26th. 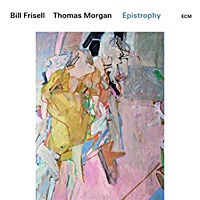 Jazz Wrap 6/2/12 By Stephan Moore You know those albums that you fall in love with immediately after about two songs in–well this one of those albums. Tom Tallitsch delivers a killer does on hard bop that is fueled by both some heavy chops as well as crisp songwriting. His fourth album (first for Posi-Tone), Heads Or Tales is simply an awesome display of muscle and dynamics. Like a late night jam session, Heads Or Tales kicks off in fine form with “Coming Around,” a real barn-burner. Tallitsch rips through a number of chords and his newly assembled quartet adds fuel to the fire with Allen and Gold sparking hot exchanges that match the saxophonist’s muscle. The luscious ballad, “Perry’s Place,” is absorbing. Tallitsch gives a deep soulful performance that instantly grabs you. Gold’s organ stays close with a rhythm providing strong effect. Feber’s drums are tempered here but still add soft touches just under the melody. ”Travel Companion” is a well paced midtempo piece in which Tallitsch allows Gold and Allen to show-off some solid individuality. Tallitsch comes back in to bring the band home with some warm tones as closing notes. ”Dunes” moves along swiftly and sweetly. Ferber conjures up some nice patterns that rise and fall alongside Tallitsch rhythms. Allen lays down some chords that felt almost early George Benson-esque. For some reason I kept gravitating back to this track. There’s something quietly entrancing and beautiful about the harmonies that you might find as well. Closing out on Neil Young’s “Don’t Let Bring You Down” is pretty brave. And you almost don’t recognize it until you get to the chorus. This introspective ballad gets a heavy treatment that ends up being more surprising than you would originally imagine. It’s treated with care but still creating its own identity. Heads Or Tales is more than just another solid session for Tom Tallitsch. It’s a document that really should awaken the eyes and ears of many would need to know his name and his skill as a composer and musician. Ottawa Citizen – Vital Organs – Peter Hum 5/29/12 New Jersey-based saxophonist and radio show host Tom Tallitsch presents eight post-bopping originals and a Neil Young cover on his latest CD, which features organist Gold raising the music to a higher level. Swingers such as the opener Coming Around and the charging tune Double Shot dovetail nicely with Tallitsch’s burly yet breathy playing that at times features long, Lovano-esque, corkscrewing lines. Here’s a version of Coming Around from an organ-free band led by Tallitsch: I especially like the vibe on the slower, Elvinish tune Tenderfoot, the groove tune Flat Stanley and the waltzing, upbeat tune Dunes, that features a nice gradual build up front. The disc’s only cover, Neil Young’s Don’t Let It Bring You Down, is a short, minimalist reading featuring Tallisch that introduces some welcome vulnerability to the CD’s emotional range. Still, I wonder if the saxophonist could have been more expansive or ambitious with the tune. 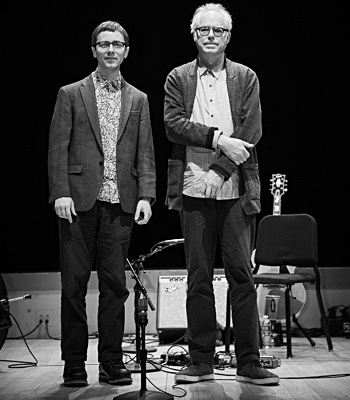 Guitarist Dave Allen is a fluent, modern player whose advanced improvising can seem to pick up where Tallitsch leaves off — that’s to Allen’s credit, but it also seems to me that the disc could do with a bit more contrast now and again in terms of the feeling and approaches of these soloists. Mark Ferber drums with his usual spark and precision. Gold, as I mentioned, consistently enlivens the music, and his solos on Tenderfoot and Flat Stanley count as disc highlights. @Critical Jazz 4/3/12 Review By Brent Black – Easily one of the better 4tets you may not be familiar with just yet…Tone, technique and phrasing as a tenor player all catch my ear :30 seconds into “Coming Around” and Tallitsch pulls off the musical hat trick hitting all his marks with precision, finesse and a deceptively intriguing swing that guitarist Dave Allen seems to pick up almost immediately. Rounding out a top flight rhythm section you have organ phenom Jared Gold and highly acclaimed drummer Mark Ferber. This is hard bop that moves with lyrical intensity, a melodic sense of purpose. As the release progress so does the harmonic development and the ability to shift dynamics on the fly all while working without a musical net. “Double Shot” is a deceptively simple tune with punctuated swing adding depth and texture to a release that is seemingly built around musical character Allen’s clean single note runs on guitar and generously comped by Gold with Ferber’s subtle nuance behind the kit acting as the sonic glue binding this most formidable ensemble together. Tallitsch is a gifted lyrical player that while pushing the occasional envelope knows when to real it in and when to push forward with a swing not for the faint of heart. The title “Flat Stanley” alone should pick up high marks for creativity but a captivating organic pulse begins to develop within this tune. Dave Allen works hand in glove with Tallitsch in a role more closely associated as a co-leader but if a chain is truly as strong as its weakest link then there are indeed no weak links here. Gold’s solo on Flat Stanley helps to firmly establish himself as one of the better B3 voices to hit the scene in years. In what could easily be described as an all- star line up, Tallitsch absolutely works on point ever step of the way. A nice warm tone, accessible but a master technician when it comes to technique and artistic phrasing that would allow him to hold his own on any bandstand. Tom Tallitsch and Heads Or Tales is an absolute winner! 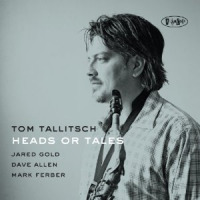 Music And More (Jazz & Blues Blogspot) 5/10/12 By Tim Niland - Tenor saxophonist Tom Tallitsch looks to demonstrate his talent as player and a composer on his debut for Posi-Tone Records. He is accompanied by Dave Allen on guitar, Jared Gold on organ and Mark Ferber on drums. 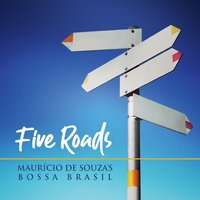 The album is made up of original compositions and one interesting cover of Neil Young’s “Don’t Let It Bring You Down” which is taken as a stately ballad with melodic saxophone leading the way. Among the original compositions, the opener “Coming Around” has a swinging medium tempo feeling with Tallitsch’s saxophone sailing over organ bursts and a fluid guitar solo. Switching to a faster pace, “Double Shot” features light textured saxophone improvising over the music before the organ, bass and drums unit gets their turn setting the leader up for a ripe concluding solo. Drums open “Flat Stanley” setting the stage for Gold’s organ to fill in with a quasi funky feeling. Tallitsch’s saxophone does a little strutting, keeping with the loose feeling of the song. “Travel Companion” reverts to a medium tempo with the full band improvising on the melody. Gold makes long tones on the organ before building to a flashy solo and Allen makes his mark here as well probing and embellishing on his solo. This was a solid album, definitely worth looking into if you are a fan of modern mainstream jazz. 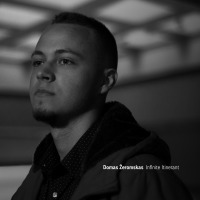 The music is straight ahead and focused on melodic improvisations and remains quite accessible. Midwest Record 4/7/12 Review By Chris Spector - Not only a jazzbo but a bleeding heart liberal as well since he uses music to cut through autism at his variousschool and clinic work. He’s also one killer, mainstream sax man as well. Here we find Posi-Tone working on developing their house sound as label mate Jared Gold is heating up the B3 chair doing his part to keep this quartet working in overdrive. Tasty stuff throughout that is going to push Tallitsch into that spot where he has to decide between teaching and touring. Hot stuff that’s going to find him less and less of a well kept secret every day. Check it out. Something Else Reviews (Half Notes) 4/16/12 Review By S. Victor Aaron - Saxophonist, composer, musical educator, and radio show host Tom Tallitsch keeps busy wearing a variety of hats all revolving around his love of music and the love of sharing his knowledge about it to others. Every couple of years since 2005, he’s been sharing music by making a record, and this week he does so again for the forth time with the issuance of his latest album, Heads Or Tales. His first with Posi-Tone Records, Tallitsch taps into the talents of Posi-Tone stalwarts Mark Ferber (drums) and Jared Gold (organ), as well as up and coming swing specialist Dave Allen (guitar). Don’t be fooled by the line-up, this isn’t a Jimmy Smith/Stanley Turrentine type greasy soul-jazz record; Tallitsch leads this quartet through his eight originals and one cover in a hard bop and advanced bop state of mind, and Gold is the right organist to bring in for such a session. Tunes like “Coming Around” (live video below) and “Double Shot” are uptempo burners that bring out the fire of the participants, while “Perry’s Place” is the best among the gentle numbers, a good spot for Tallitsch’s sensitive Henderson/Shorter sax dialect to express itself. Tallitsch also turns Neil Young’s “Don’t Let It Bring You Down” from a downbeat folk tune to a blues-inflected nocturnal ballad while keeping with the solemn mood of Young’s intent. Jazz Society Of Oregon – Kyle O’Brien - ” Tallitsch is a Philadelphia-based saxophonist with a sound that shows both restraint and passion. His tunes are modern jazz through and through, not adhering to genre or style in any significant fashion. The tune “Conscious Contact” is an introspective minor melody that lets Tallitsch’s soprano speak in cohesion with his group. Piano, guitar, bass, drums and reeds build to a crescendo, and Tallitsch doesn’t let loose until the tune is good and ready to speak up. His use of dynamics and his restraint make his songs come alive. Some swirl and eddy, as on the circular “Propellerhead,” while others bubble under, like “Red Giant.” His tone is emotive and his compositions allow him to take us on short musical journeys with his more than able band. Here’s a guy to watch in the future. 2009, OA2 Records, 60 minutes. PhillyJazz.Org 12/05 “Saxman Tallitsch and Guitarist Dave Manley show what you can do with only two”. All About Jazz musician pages are maintained by musicians, publicists and trusted members like you. Interested? 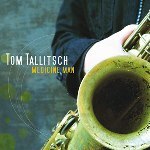 Tell us why you would like to improve the Tom Tallitsch musician page.